Wedding Guild's first wedding show of the year. First Wedding Show of the Year. The Guild of Professional Wedding Services stand looked rather elegant at the first wedding show we attended this year. Special Thanks to Guild members Kelly – Eventiss Wedding Cakes, Kathy – Love Couture and Mel – Bluebell Weddings & Events for setting up the stand and spending the day promoting the Guild. 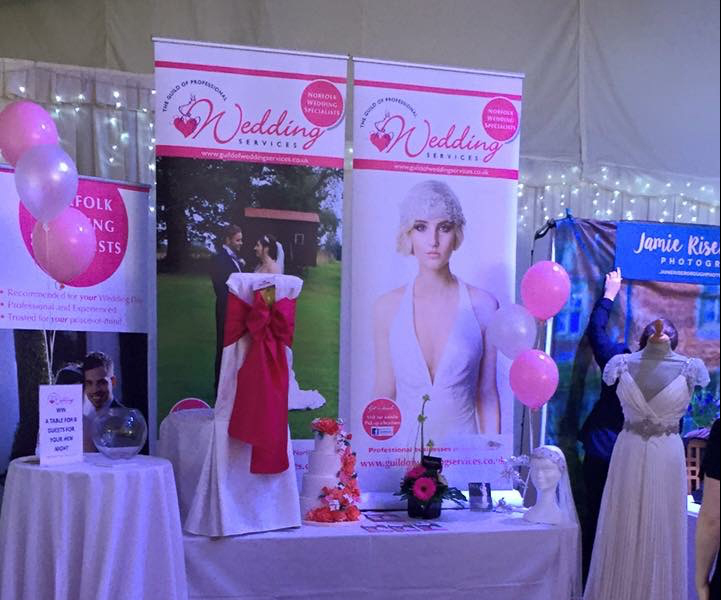 The Guild of Professional Wedding Services will be exhibiting at more shows throughout the year. If you are attending a show at which we are exhibiting, be sure to come and have a chat to see what we are all about. We will certainly have great ideas and services to make your special day perfect! 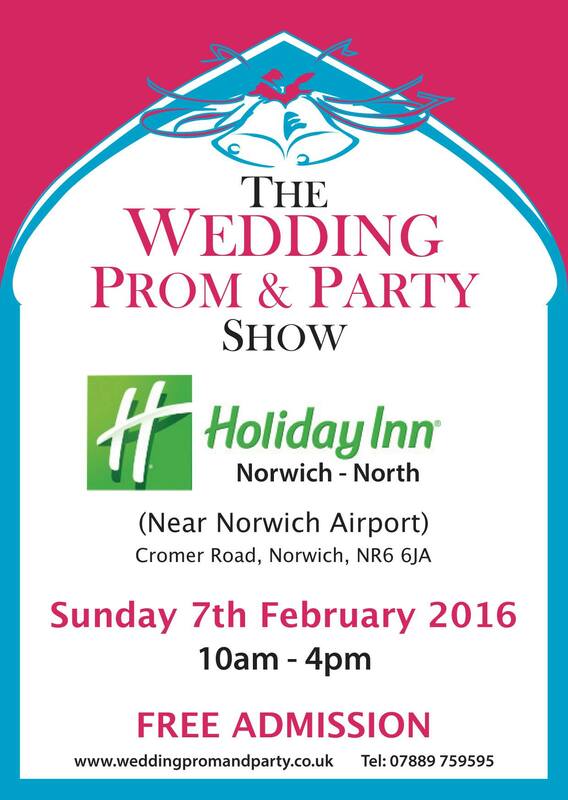 Our next show is The Wedding Prom & Party Show at the Holiday Inn, Norwich North on Sunday 7th February, 2016. The show is organised by The Wedding Prom & Party. There is a fantastic competition to enter for a chance to win £500 worth of Marks and Spencer Vouchers if you register online. Subscribe to receive special offers from Guild members! See You At The Next Wedding Show!